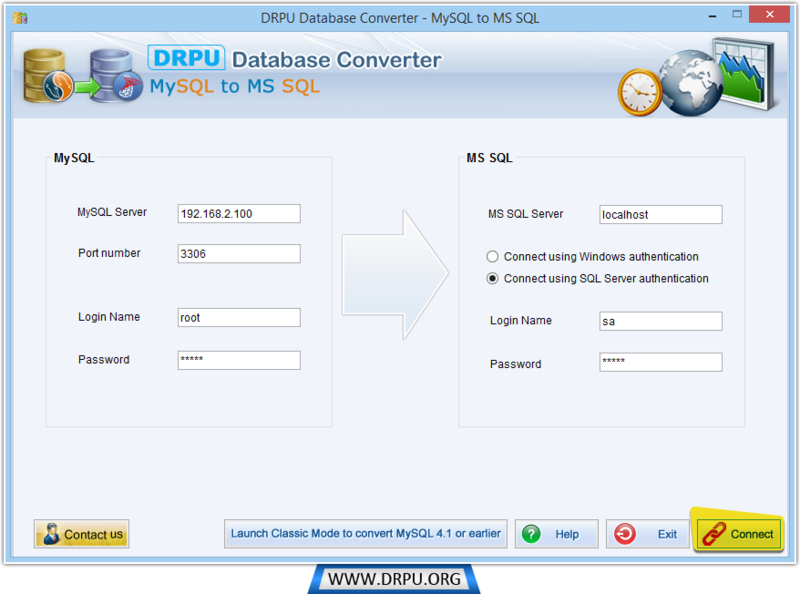 Enter MySQL and MS SQL server details to establish connection between MySQL and MS SQL Server. 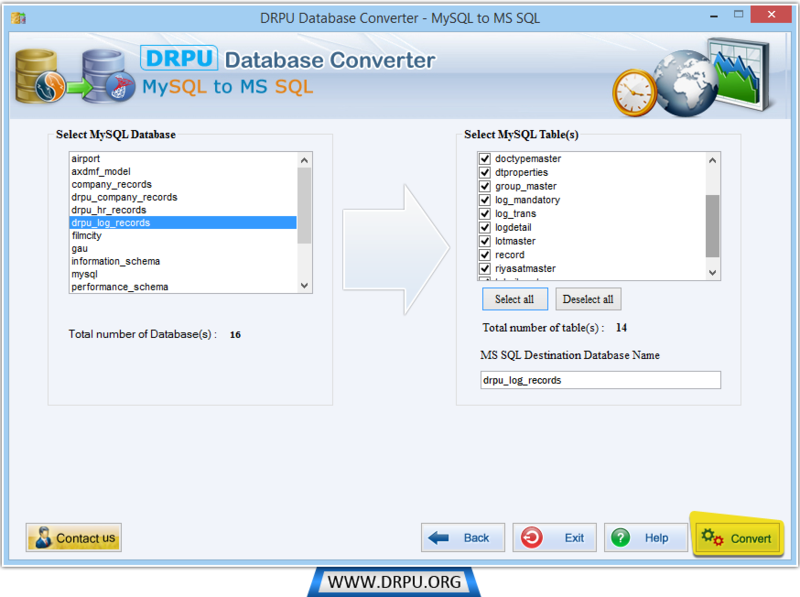 Select MySQL database from left panel and corresponding tables of selected database from right panel and add destination database name. 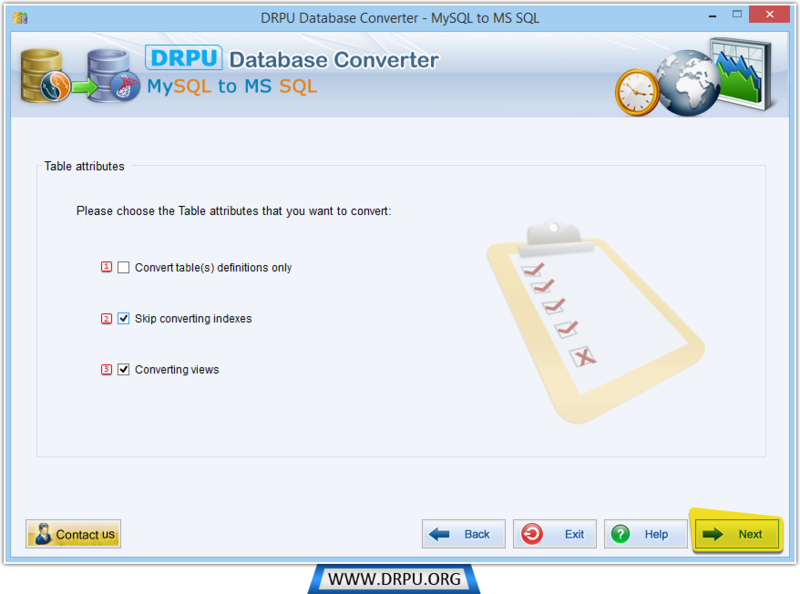 Click Convert button to proceed. Select views from left panel and add them to right panel. 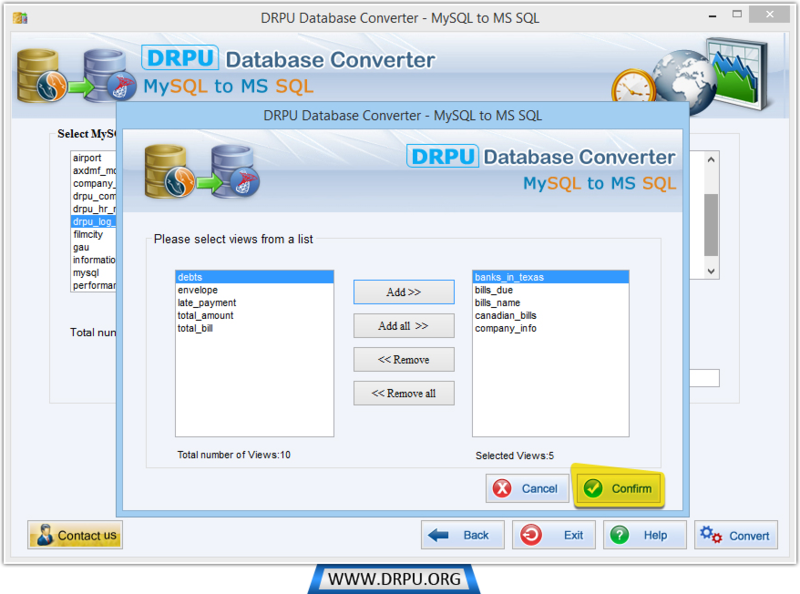 Click confirm to start actual conversion process. 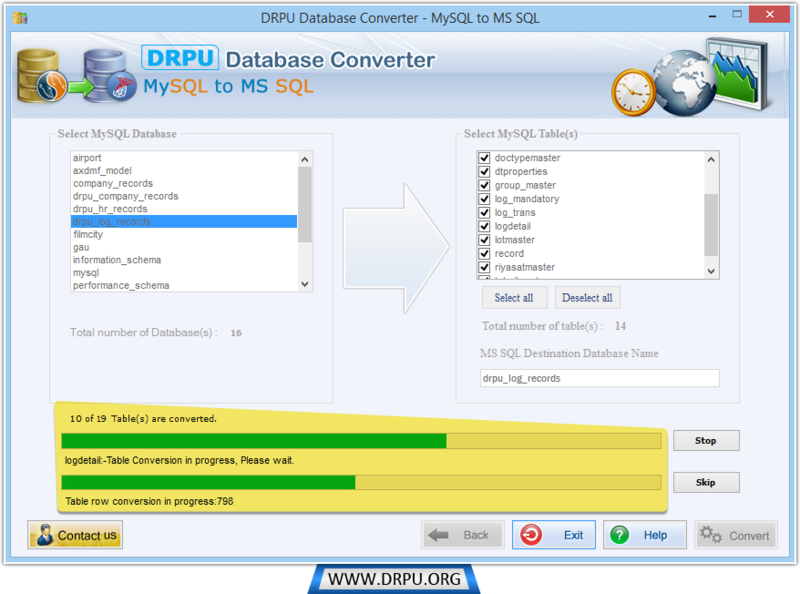 Currently performing database conversion process. 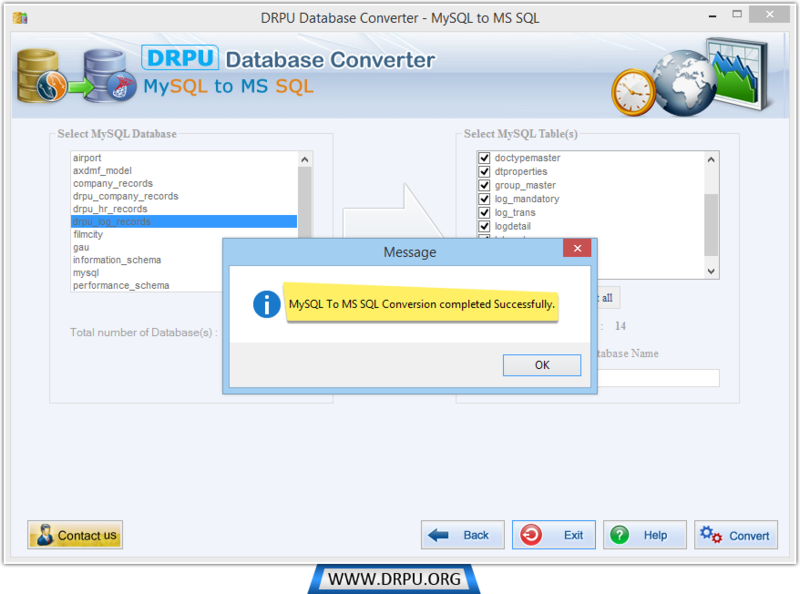 After database conversion, a confirmation message will display "MySQL to MS SQL conversion completed successfully".